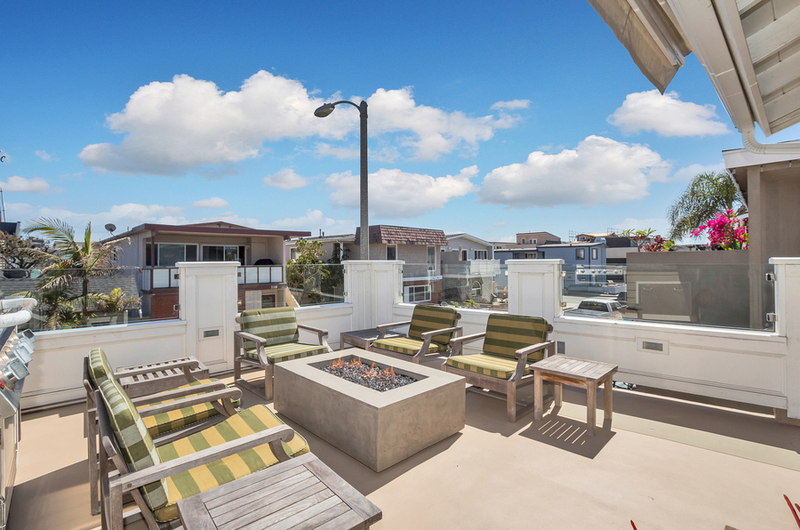 Gorgeous ocean-view top unit condo with amazing white water views. 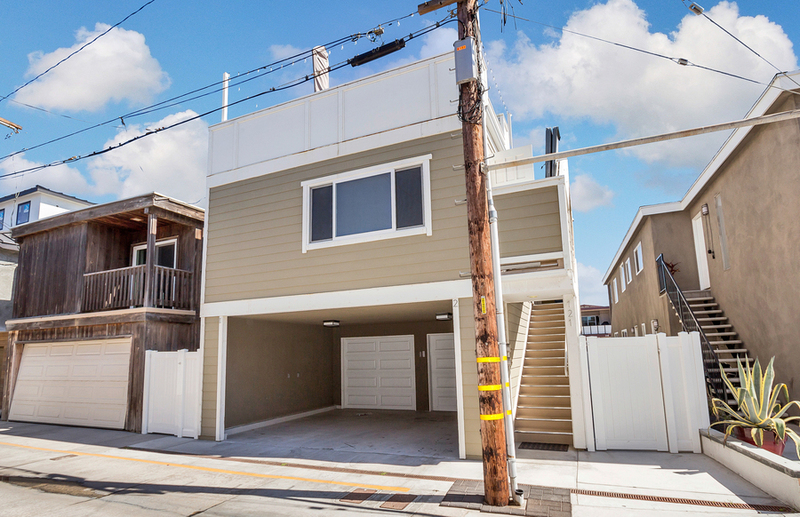 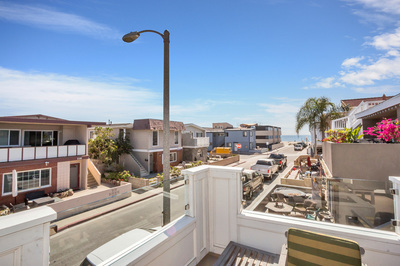 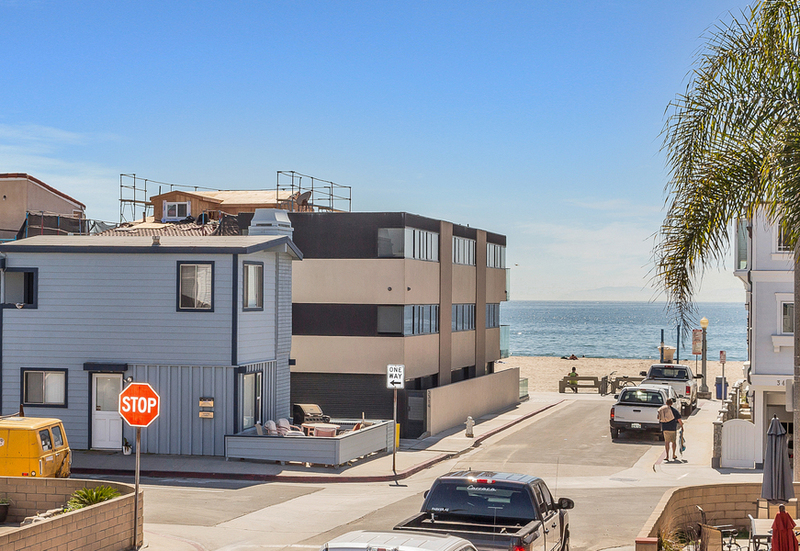 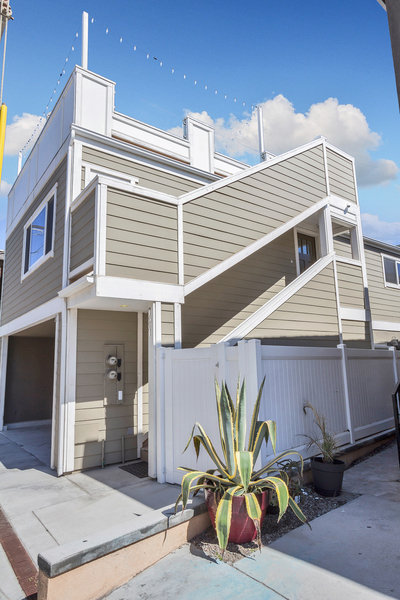 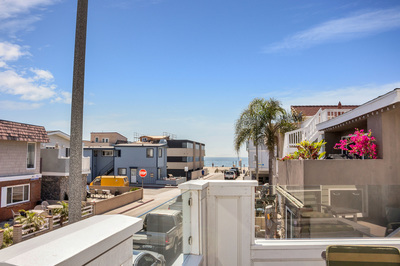 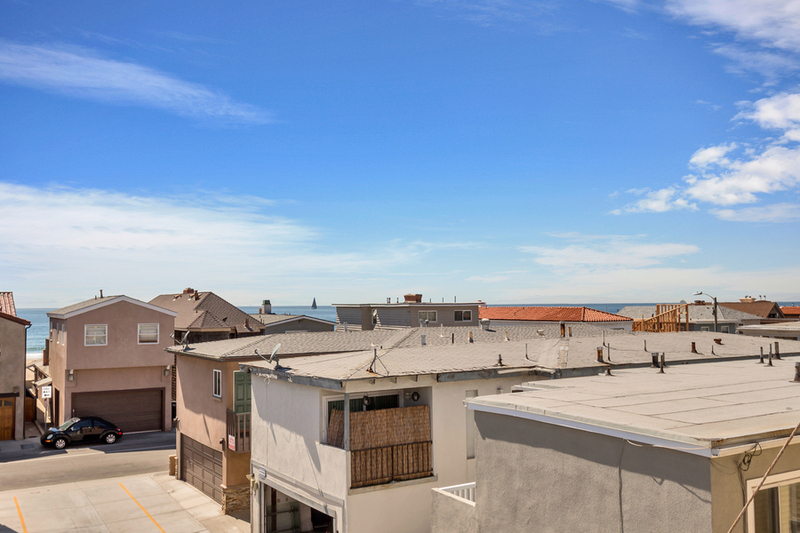 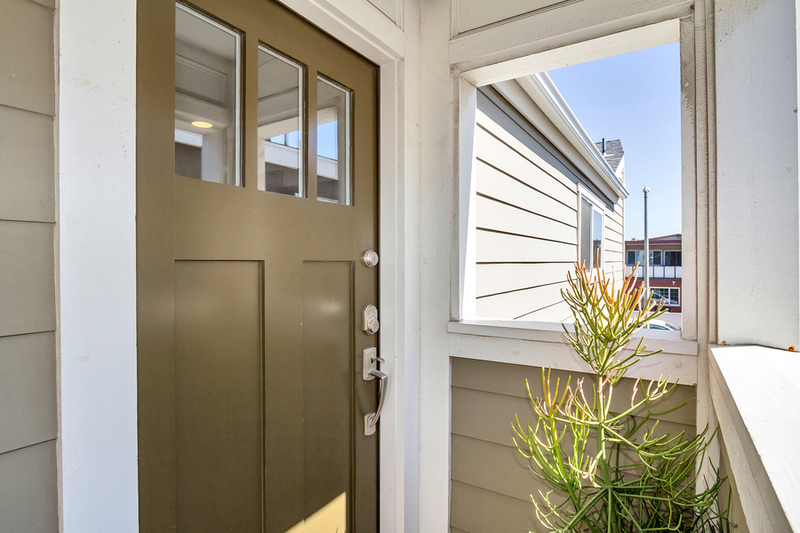 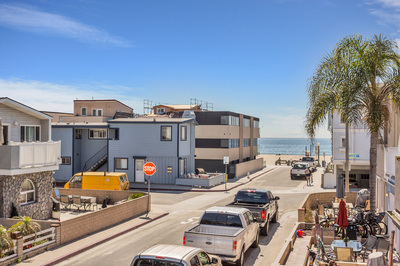 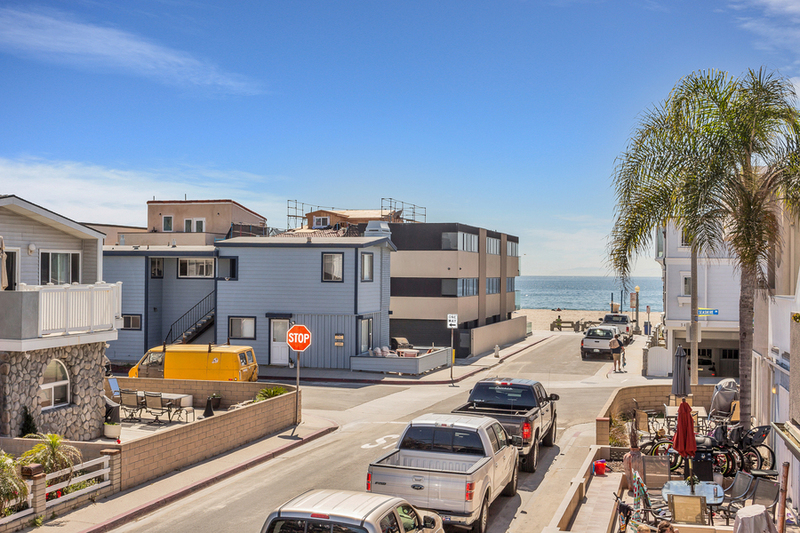 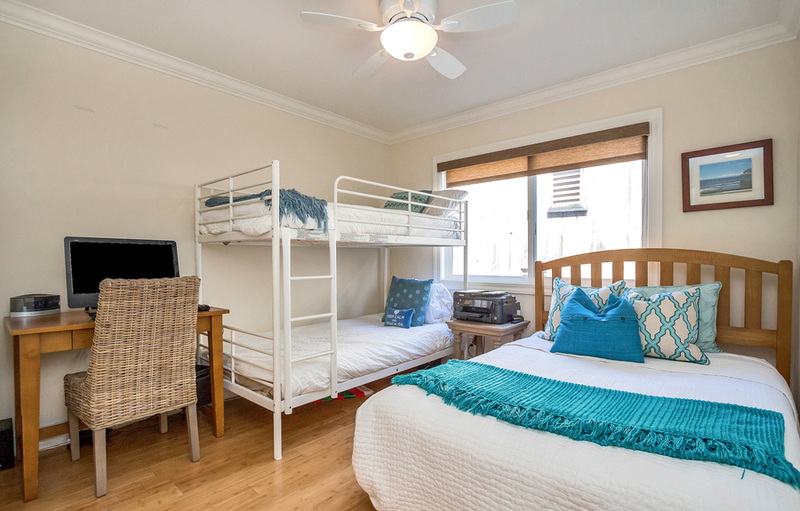 This 3 bedroom, 2 bathroom unit is located 4 houses from the sand on the first lot of the block with a 5 foot setback so your view is protected from potential developments. 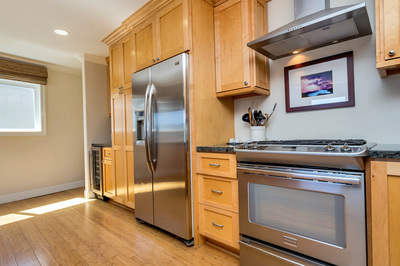 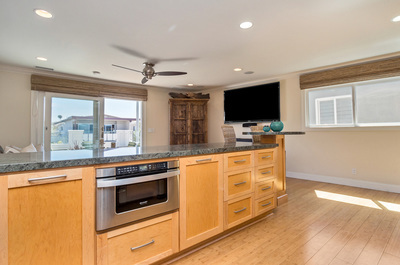 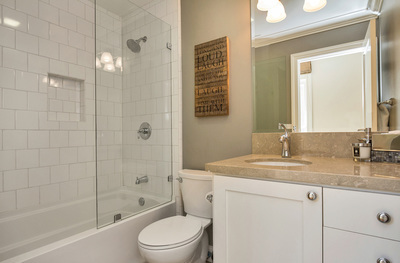 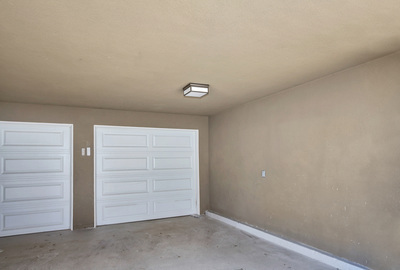 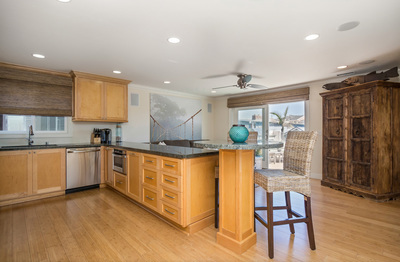 It was completely remodeled in 2012 and features fine living environments and finishes. 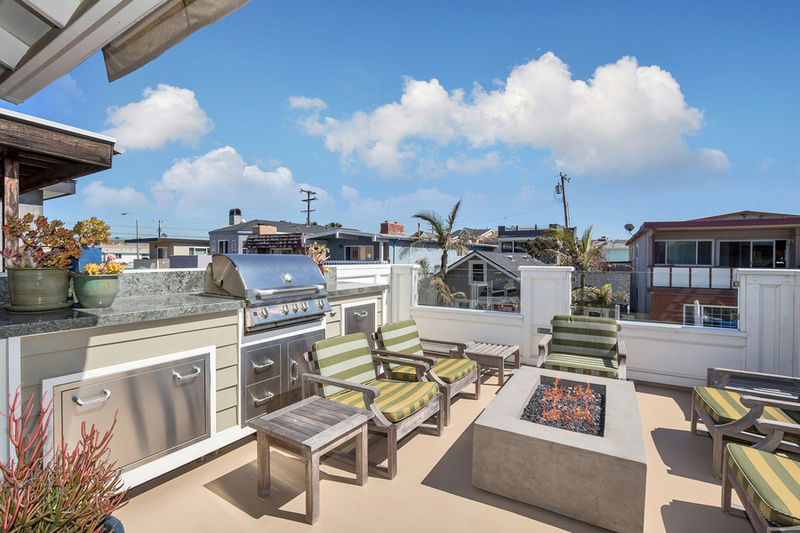 The front deck offers dining/seating area with built-in BBQ, granite counters, fire pit and offers unobstructed views of the surf and sand. 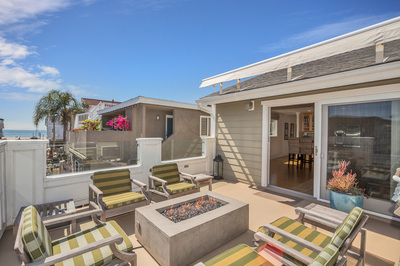 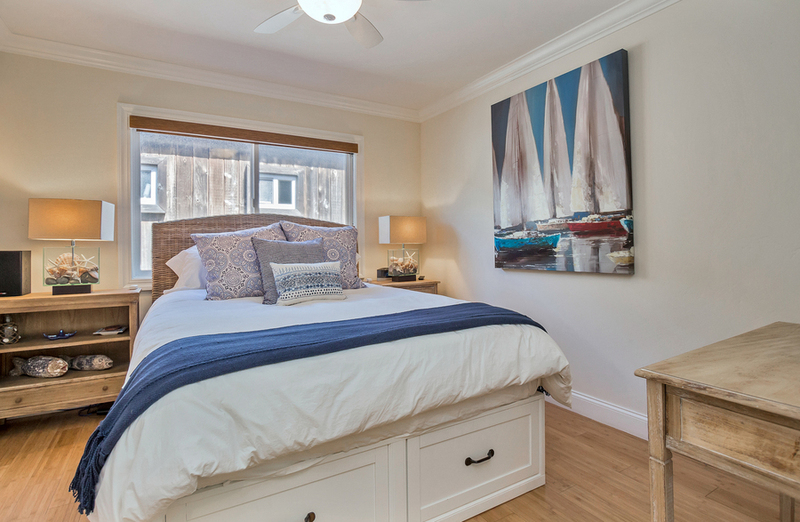 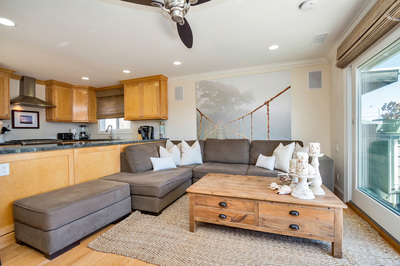 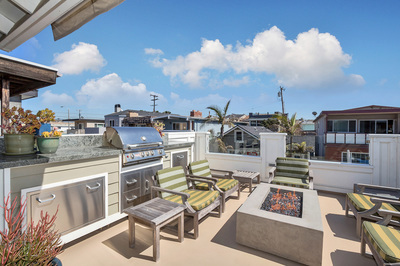 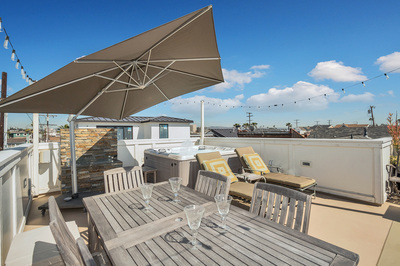 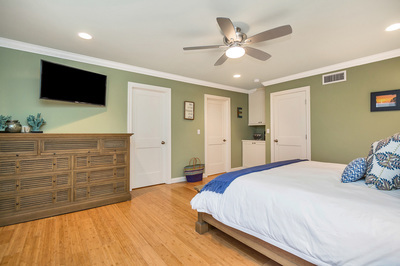 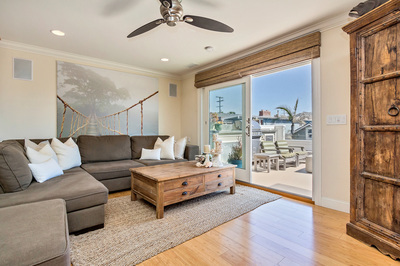 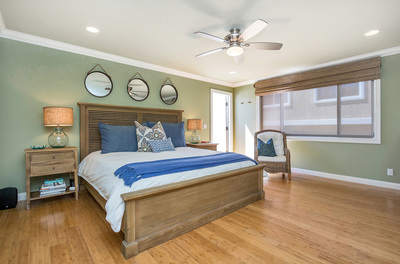 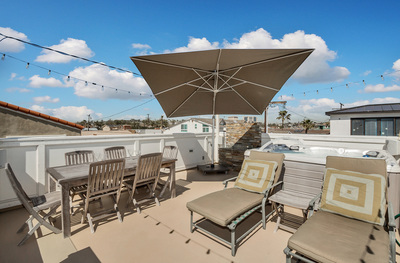 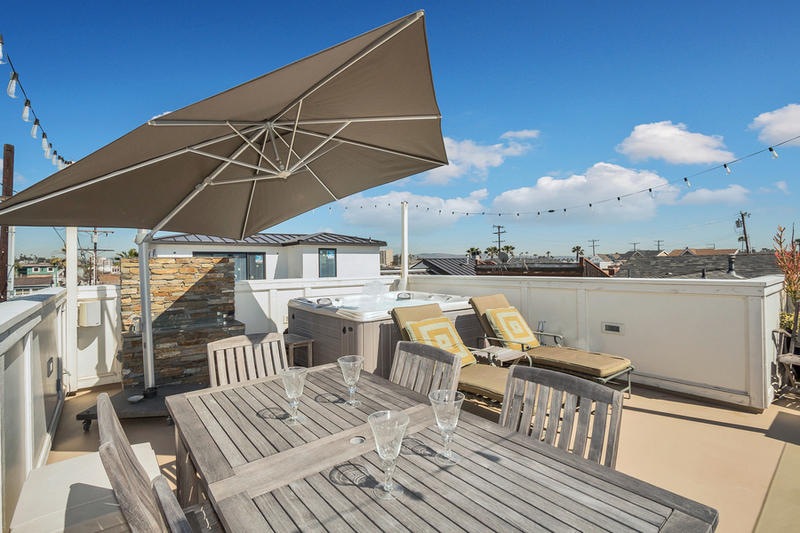 The spacious master bedroom retreat includes access to the private rooftop deck featuring a hot tub, fireplace and views of Catalina Island stretching to Palos Verdes. 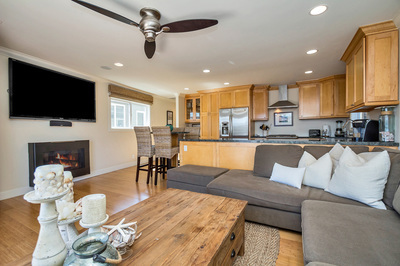 Interior is light and bright and features include stainless steel appliances including a wine refrigerator, granite counter tops, maple shaker cabinets, recessed lighting, built-in bar-height table, surround sound with built-in speakers and crown molding. 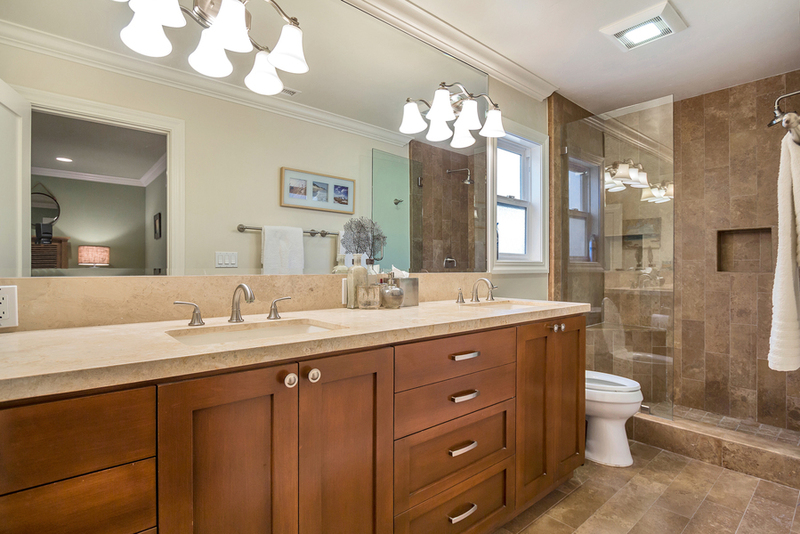 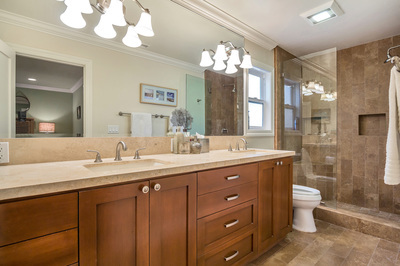 The beautiful master bath includes travertine flooring and limestone counter tops, frameless glass shower and walk-in closet with built ins. 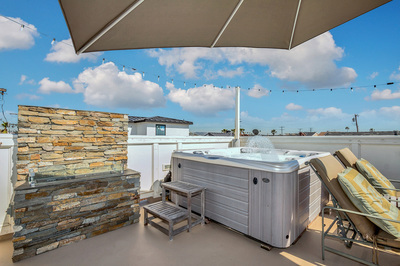 Unit also has Outdoor shower. The two ocean view patios and newer remodel truly make this a unique property that you will not want to miss out on!